By the time encountered Loops and Sikes, they’d already started working with Matt Heckler, having crossed paths with him a world away in the tiny town of Talkeetna, Alaska. I’m not entirely sure, but I suspect that Heckler only came to town because of Deep Chatham, bringing fellow busker Trevor Grassi with him later that year. 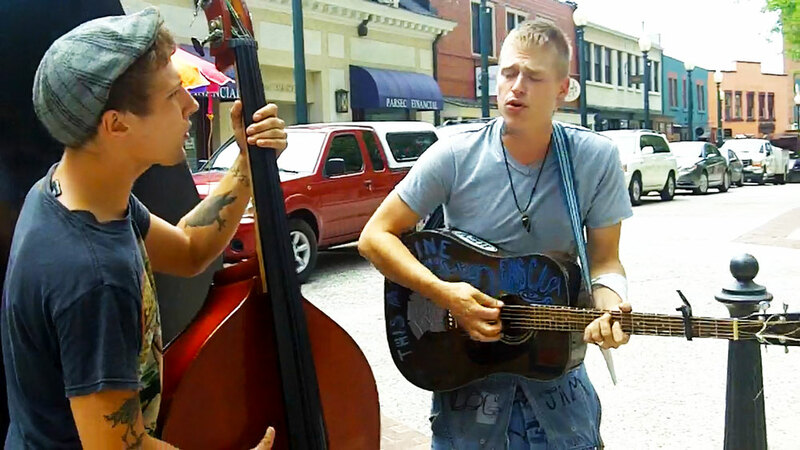 Considering that Heckler and Grassi were two of the most visible and successful buskers on the streets of Asheville that year, it’s surprising to me that I didn’t actually see more of Deep Chatham, and never actually saw the full trio play together.